Home /Software/Accidental iTunes Purchase? Report a Problem! 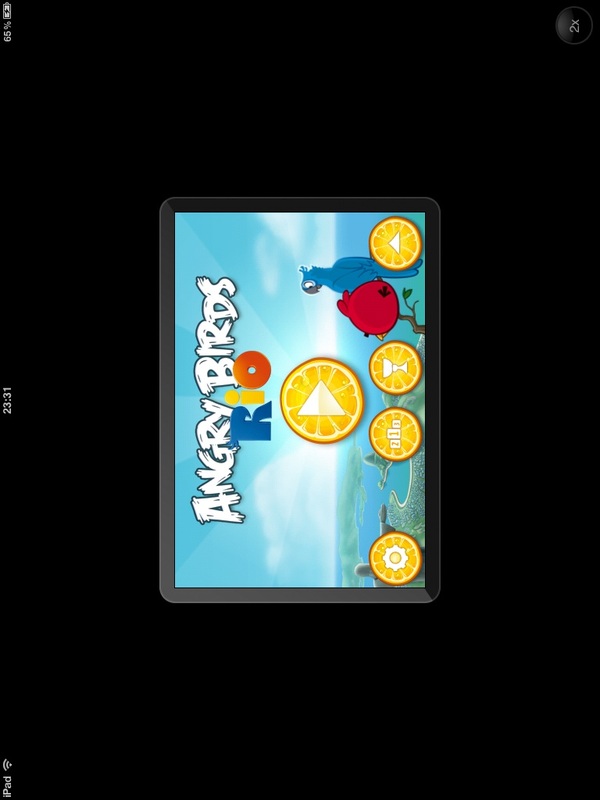 I was trying out Angry Birds Rio on my Android (free download, yeah!) and was getting past level after level rather effortlessly (I hate it when I get stuck in one level and would give up on the game thereafter. So game developers, take note!). So the next day, I asked my wife excitedly if she would like to try the game. To keep the excitement going, I quickly went to my computer, opened iTunes, searched “Angry Birds Rio”. I saw the price: US$0.99. OOH CHEAP! I clicked on the “Buy” button, downloaded the app in less than a minute. I plugged my iPad to the computer, synced the app, and started it. Oops! I bought the iPhone version by mistake!!!! Well, what could I do, I thought, so I expanded the screen, passed to wifey, and let her play. It looked awfully pixelated, but well, it would do. After I tweeted about the mistake, I received a tweet reply that I could actually ask for a refund. Hmm, why didn’t I think of that? And the best part is that there is already an existing process in place to do that. 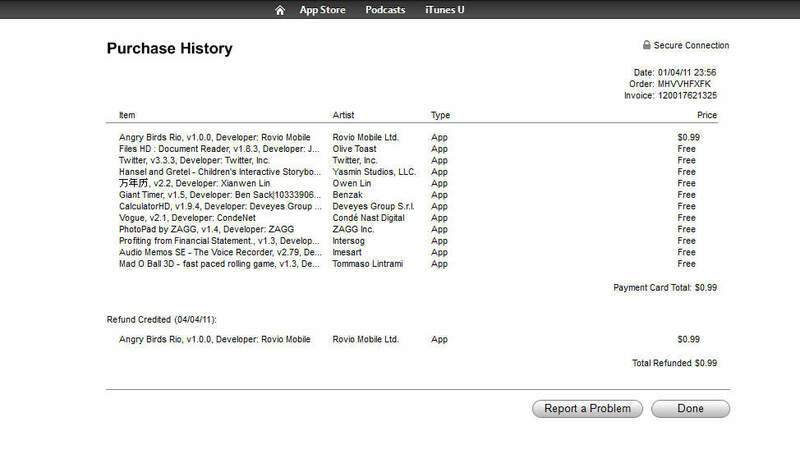 Simply go to iTunes, access your purchase history (Store -> View My Account), retrieve the app in question in view. When you click “Report a Problem”, you will see the phrase “Report a Problem” appearing in every line item you purchased. 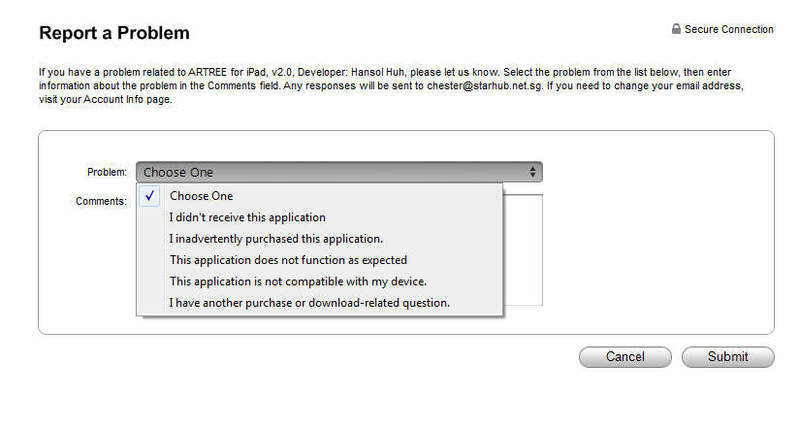 Click the specific app that you want to report the problem about, and iTunes will load a new screen to allow you to describe the problem nicely and submit for their consideration. After I submitted the request, I got a courtesy email response within 24 hours, informing me that they were unable to process the refund until the purchase was processed, which took about 3 days and you would know it when you received the purchase receipt via email. So there is no rush to report the problem. Meanwhile, I am a very happy customer.